Pink colored patches that usually occur on the limbs. There are different types of Porokeratosis & the most common is DSAP (“Disseminated superficial actinic Porokeratosis”). DSAP usually runs in families. What does Porokeratosis look like? DSAP starts to appear in middle age with flat, pink or skin coloured patches. 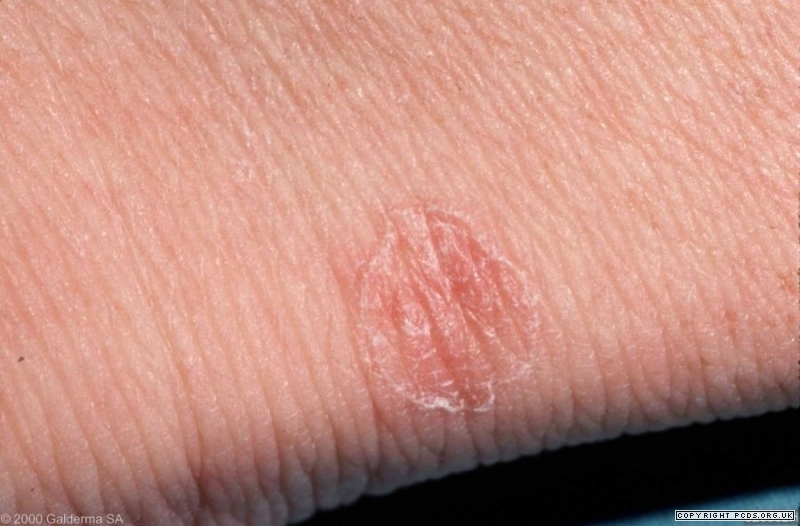 The patches have a slightly raised edge that is best seen with a dermatoscope. DSAP is more common on sun exposed areas of the legs. The appearance may not be that specific. The diagnosis is usually confirmed with a punch biopsy. What is the treatment of DSAP ? The key is to distinguish DSAP from other skin conditions and skin cancers such as (superficial BCC) that may appear similar. Once the diagnosis is made, then treatment options vary but it’s fair to say that treatment of DSAP is not always that successful. 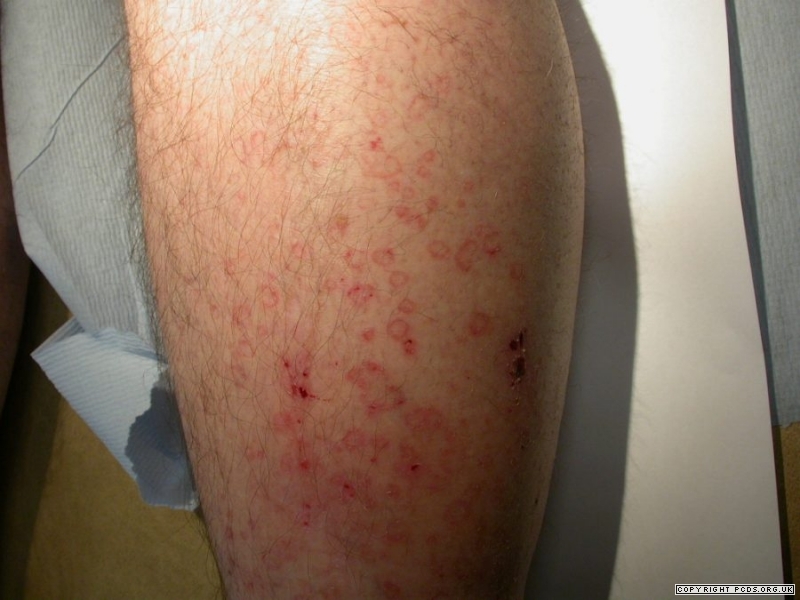 Multiple Porokeratosis is a skin condition of the lower legs that is fairly easy to spot.